Trader Joe’s sells its bananas individually rather than by the pound like most grocery stores do. When first entering the store I always notice the banana stand and have always wondered why they sell them this way. In a podcast where Trader Joe’s employees reveal company secrets, CEO Dan Bane explained the unusual reason why. 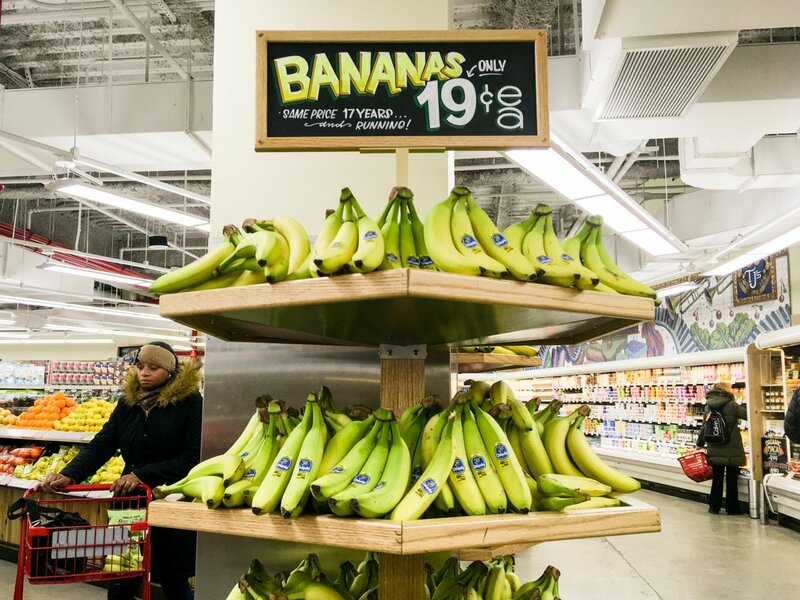 Like most other grocery stores, Trader Joe’s used to sell bunches of bananas by the pound. There were no scales in stores, so bananas were weighed before leaving the warehouse and packaged in little plastic bags of four or five bananas. In an episode of the Trader Joe’s podcast where the grocery chain’s employees reveal company secrets, CEO Dan Bane explained that years ago, he was at a store located not too far from a retirement complex. A woman walked up to the bananas, looked at all of the packages, and walked away without putting one in her cart, Bane said. This entry was posted in Educational, Interesting and tagged Health, Interesting. Bookmark the permalink.